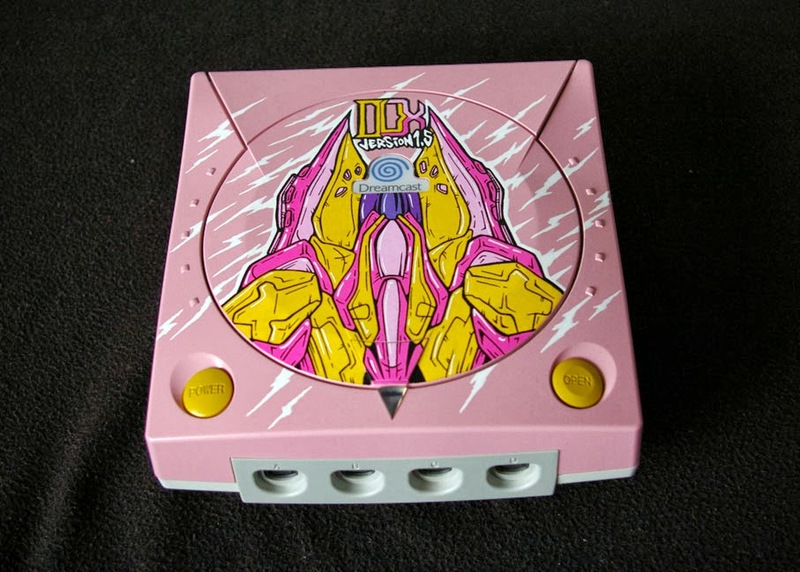 I have to admit, I didn't even know a game called DUX 1.5 existed until I came across this post (on artist Oskunk's blog) about a Dreamcast custom-painted to look like the title's cover imagery. 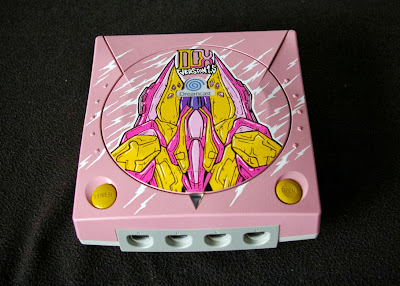 Is it my favorite of Oskunk's custom-painted consoles? No, but it deserves kudos both for introducing me to a curious-looking shmup and for bringing the world yet another pink console. 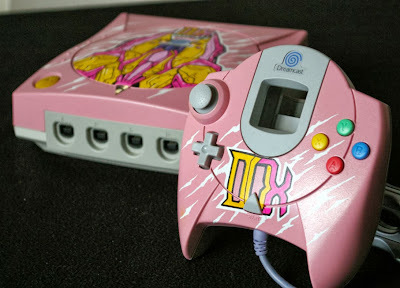 In a perfect world, though, I'd play this game--and maybe its sequel, too--using the pink Hello Kitty Dreamcast that I don't yet own (but hope to acquire sometime in the not-too-distant future). Tokyo Game Show 2013 is underway, and although it hasn't been as thrilling for me as some past events have been, I'd still say it's been all right so far. Would I still deem it "all right" if Square Enix hadn't used the venue to unveil the first trailer for Theatrhythm Final Fantasy: Curtain Call? Probably not, but since that's really more of a hypothetical question I think we should ignore it for the time being. Pretty slick, don't you think? Well, except for that segment (beginning at :50) that shows a bit of the game's multiplayer mode. That was just scary. Another Tokyo Game Show 2013 trailer that's piqued my interest in the last 24 hours: the one the folks at Capcom produced for their PS4 Dark Souls clone, Deep Down. Next up: a teaser trailer for the game that's sure to excite a bunch of Vita owners (yes, all five of them--just kidding), Gravity Daze 2 (aka Gravity Rush 2). I don't yet own a Vita, of course, but I'm giving serious thought to buying one sometime next year--along with a copy of the first Gravity Rush. And maybe a copy of the sequel, too--assuming it's localized by the time I pick up a Vita, I mean. Last, but not least, here's a trailer for what I'm guessing is the world's first RPPG (role-playing picross game), Pictlogica: Final Fantasy. Would you believe me if I told you Pictlogica is a Square Enix production, and that it'll hit an app store (yes, that means it's a mobile affair rather than a 3DS or Vita one) near you ... uh, at some future point in time? Unless you've been living under a rock for the last year or two, I'm willing to bet you would. Do any (or all, or none) of the trailers above titillate any of you? If so, which ones, and why? I have a feeling I'm in the extreme minority in saying the following, but I'm going to say it anyway: yesterday's out-of-nowhere Wii Fit U Direct broadcast has me feeling pretty jazzed. 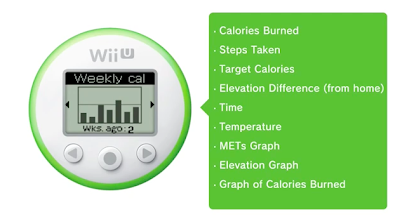 Now, I'm one of those weirdos who've been interested in Wii Fit U, which will hit the eShop on Nov. 1 and store shelves on Dec. 13, since it was first announced--due mainly to the fact that I thoroughly enjoyed both the original Wii Fit and Wii Fit Plus--so I guess it shouldn't be too surprising to hear that I'm looking forward to owning the Wii U iteration, too. As for why I'm "jazzed" about it, though: that can be pinned on the fact that I completely forgot--until watching the aforementioned Wii Fit U Direct, of course--that this version will make use of a special Wii Fit-branded pedometer that will track and display all sorts of important information (from steps taken and calories burned to time, temperature and even elevation). Oh, and it features a pixelized representation of your Mii. Which I think is kind of cool. 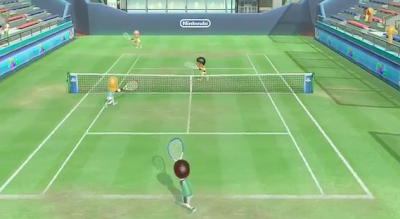 As excited as I am about the possibility of having a pixelated Mii strapped to my hip all day, every day, I'm far more excited at this point about the Wii U game that was revealed at the tail end of this latest Nintendo Direct: Wii Sports Club. I know a lot of folks likely yawned when they heard that an updated version of the mini-game collection that made the Wii a worldwide phenomenon would hit the Wii U eShop in early November, but I wasn't one of them. Why? 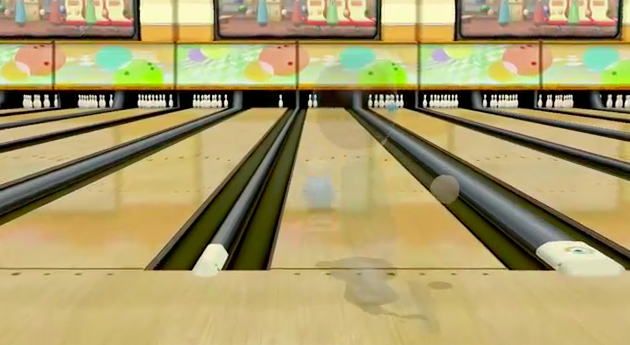 Because I absolutely loved the bowling and, especially, the tennis games that were included in the original Wii Sports. In fact, my only quibble with the title was that it didn't allow players to compete against others on line. Wii Sports Club fixes that issue and also introduces Miiverse functionality and a few other bells and whistles. The question I'm asking myself (over and over and over again) as a result of all of the above: when am I finally going to pick up a Wii U so I can play both of these games? Sadly, I think that's not going to happen until Christmas, at the earliest. I'll tell you what, though--whenever I do bring home a Wii U, I'll be bringing home copies of Wii Fit U and Wii Sports Club along with it (or I'll be buying them off of the eShop as soon as the system's hooked up--should Wii Sports Club not receive a boxed release). How about you? Are any of you thrilled--or at least mildly interested--in either Wii Fit U or Wii Sports Club? I've known that the oddly named and designed PC Engine Shuttle system was sold wrapped in some seriously awesome packaging for a while now, but for whatever reason I forgot about it until I came across one on eBay over the weekend. Attention everybody who is interested in the western release of Bravely Default (gosh, I hope that's more than a handful of gamers): last week, the guy who runs the lovely KameDaniRyuu tumblr published a translated (from Japanese into English) Famitsu interview with the producer of this impressive-looking 3DS RPG series, Tomoya Asano. Famitsu: In addition to four-times battle speed and auto input, are there any other changes that have a large effect on gameplay? Asano: Another improvement for this game is the ability to change your encounter rate. This is an important point and when you think, “I just don’t wanna do any random battles now,” you can set the encounter rate to zero. When you think, “I’m gonna level up here,” you can then instead make the encounter rate high. You’re able to do that in this game. Players are able to match the game up with their play style and play. That’s really convenient. Famitsu: I didn’t think you could set it to zero. Asano: Of course, if you leave it at zero and progress through the game, you won’t gain any levels, so I recommend fighting when it’s necessary. Famitsu: It’s something like making it the player’s responsibility or like leaving it up to them to balance as they see fit. Asano: We were able to make it so “you can match everything and anything to your play style.” Of course we are concerned with balance and the recommendation is to not mess with the encounter rate and not run from battles. The concept is that experienced players can play more effectively by changing around the encounter rate. With the last game it took me over 70 hours to beat it, but in this game we’ve made it so you can beat the game in around 30 hours or so. Famitsu: What! Only 30 hours without transferring over your levels and starting from the beginning? Cutting the time in about half is amazing. Asano: True. 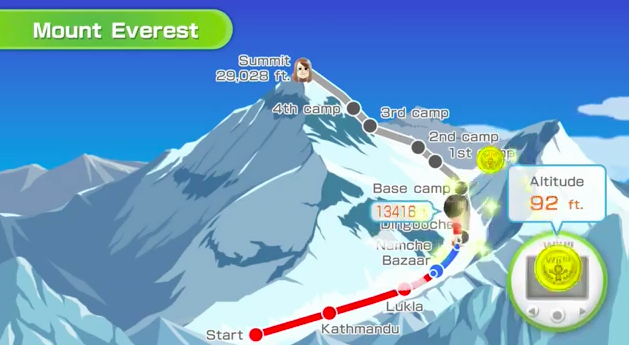 We want everyone to beat this game. 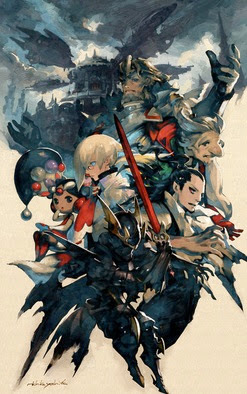 If you're at all curious about Bravely Default, I highly recommend checking out the entire Q&A at kamedani.tumblr.com. 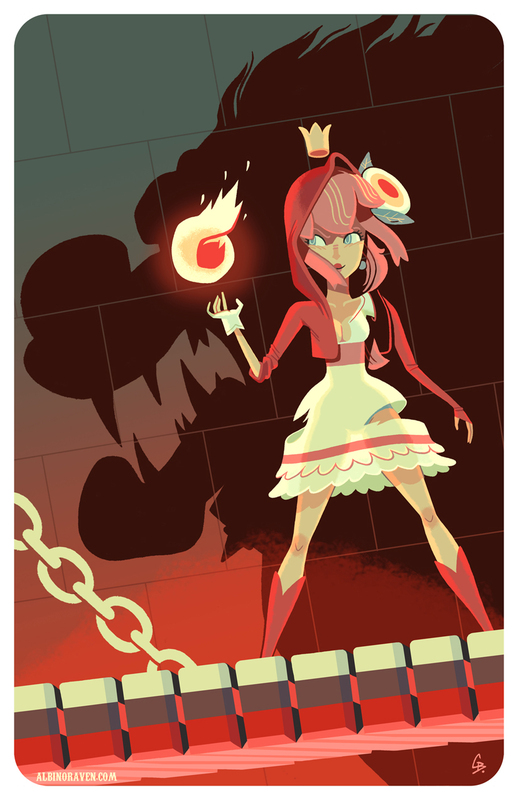 I've said this before, and I'm going to say it again: I want another Super Princess Peach game, damn it! I'd want said sequel to fix some of the problems I had with the original, of course, but even if this new title retained the first one's issues--too easy by far, and with a some-call-it-sexist gameplay hook--I'd still probably pick up a copy (especially if it were released for the 3DS). Anyway, I bring up all of that because the following illustration, produced by artist Glen Brogan, reminds me of that much-maligned platformer--or maybe I should say it makes me ponder some of the improvements I'd like to see in its make-believe follow-up. Brogan worked up the illustration for the recently opened 3NES Show at Brooklyn's Bottleneck Gallery (in runs through Sept. 22), by the way. Two others were produced along with it: one of which stars Samus Aran and Mother Brain and one of which stars Zelda and Ganon. (Both of them can be seen at albinoraven7.blogspot.com). "My thoughts going into these pieces were that I wanted to stick closely to the original NES games, as opposed to branching out into subsequent games," Brogan says, "and I wanted to base them around the female characters in each game." I'd say he did a pretty bang-up job in both regards, wouldn't you?